Everyday this February I will be creating! So keeping with yesterday's post about doing the impossible. One of the most impossible things for my wife and I for many years of our marriage was to have a success Valentines Day. For the first 13 years of our 16 year marriage, Valentines Day would always result in us being mad with each other. We couldn't explain why, we don't typically fight, but somehow on Valentines Day we would be mad with each other. It was so bad that we would mark V-Day on the calendar and go out of our way to just avoid each other until it was over. That is difficult when you have 2 daughters who wanted to do cards, ballons and such. Then 3 years ago we righted the ship. What wasit that changed our situation? I have no idea. All I do know is that we decided that it had been long enough and BOOM no V-Day fight. 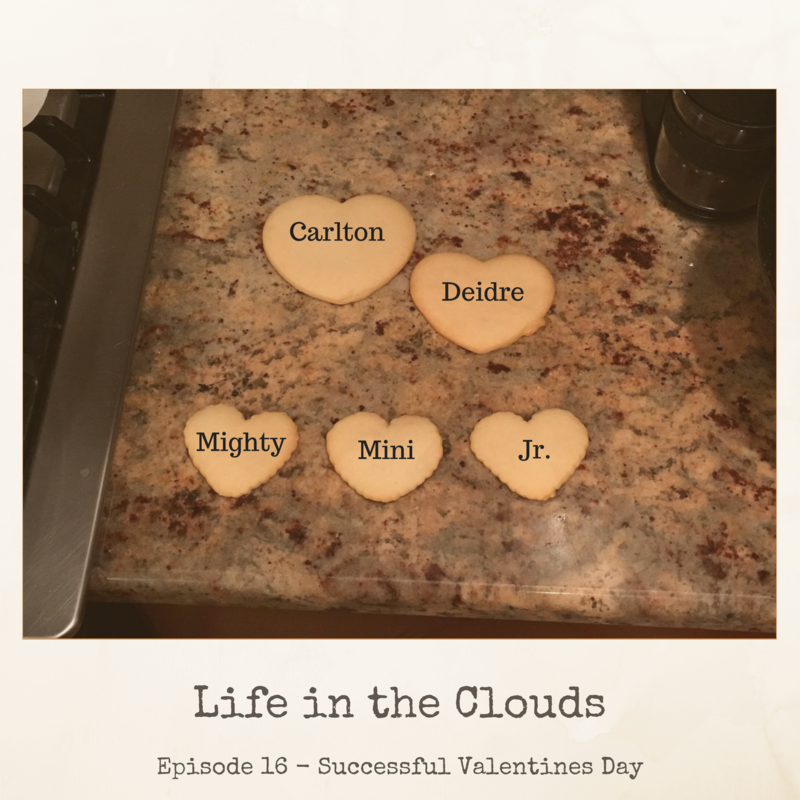 You can find us in your podcast player of choice by searching Life in the Clouds.